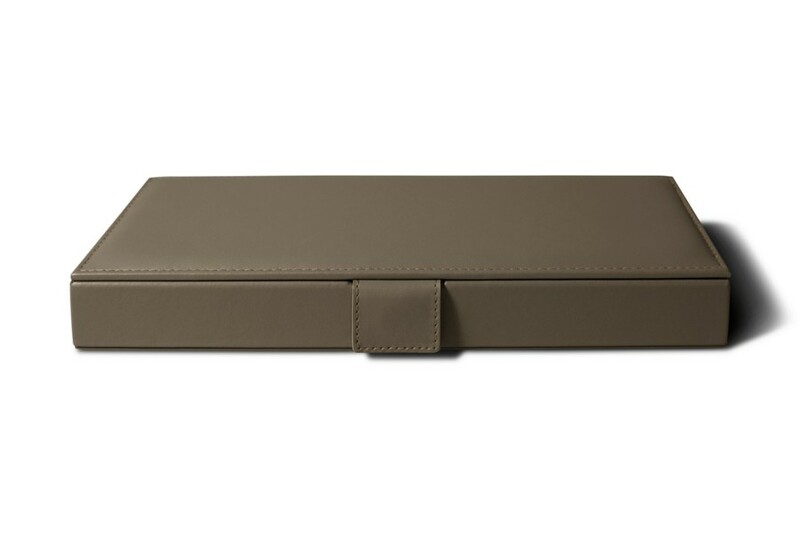 Made with women in mind, this jewelry box has eight sections for storing your everyday jewelry. 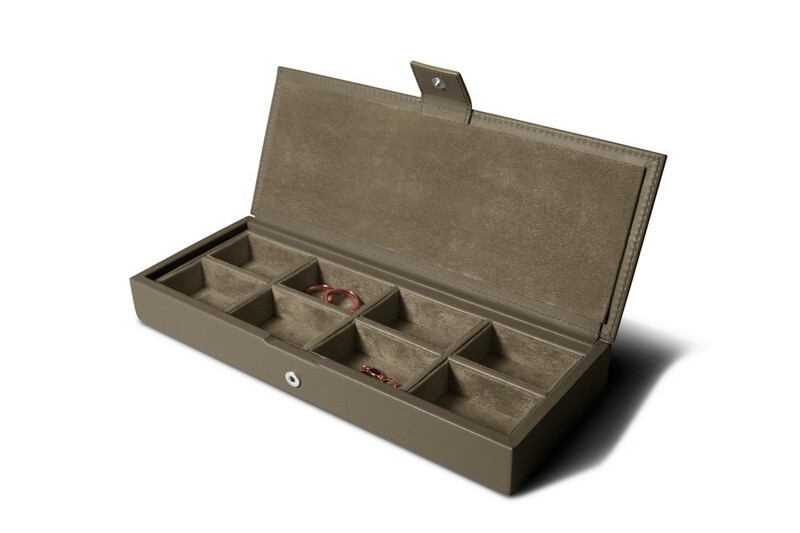 This authentic wooden jewelry box, covered in natural leather, closes with a snap-fastener flap. 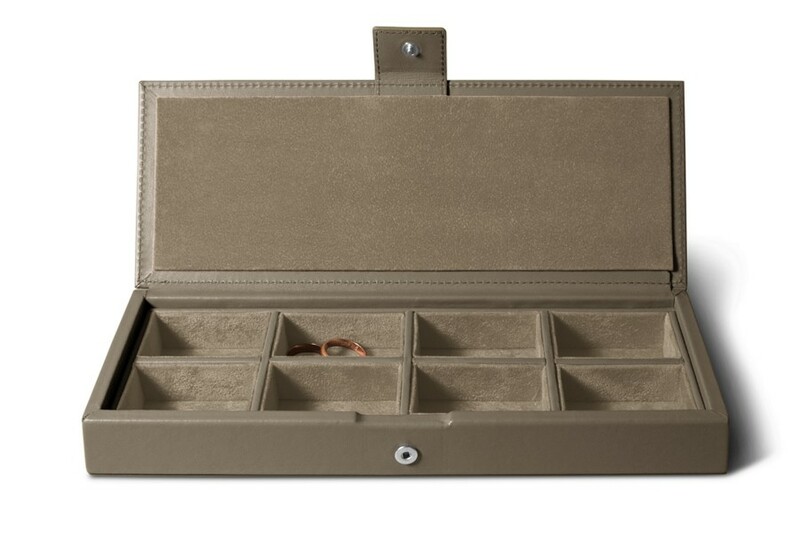 Eight compartments lined with microfiber create sections for organizing your collection of rings, necklaces, and flexible bracelets. Men find this box works equally well for stylishly organizing up to eight pairs of cuff links.